At £1.8m is this the most expensive abandoned home? To call this semi-detached London home a fixer-upper might be a bit of an understatement. Nestled in the affluent district of Chiswick, the grand Edwardian property is something of a dilapidated time warp. 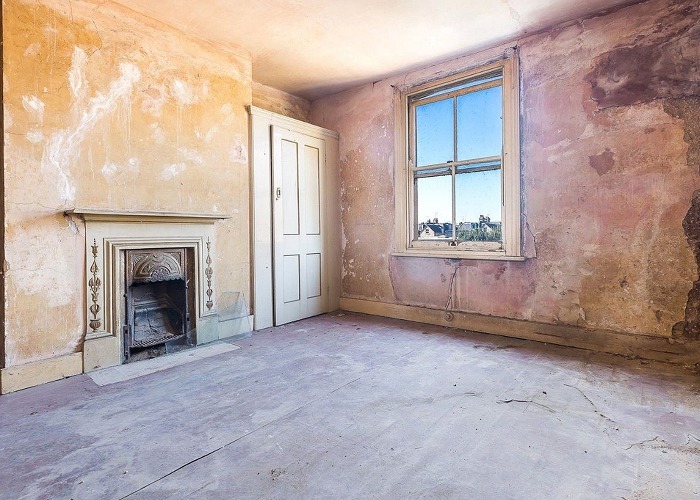 With peeling wallpaper, crumbling plasterwork and disintegrating floorboards, it's not the usual finish you'd expect from a home listed for a staggering £1.8 million. The three-storey house has been relatively untouched for the past 50 years and was home to a retired railway engineer who recently passed away. While the price tag may be eight times the average house price in England and Wales and almost four times as much as standard London house prices, this rundown residence might not be as ludicrous a deal as it seems. Spanning five bedrooms, three generous receptions, and a spacious garden, this is a prime piece of real estate in one of the most expensive corners of the country. Savills, who are selling the property on Airedale Avenue, estimate that a £1 million renovation could result in a stunning property worth around £3.2 million, yielding a decent profit. Whether the property is divided into apartments or returned to an incredible family house, we'd love to see those gorgeous ceiling cornices and ornate fireplaces restored to their former glory. If five bedrooms feels a little snug, there’s even the potential to extend the property into the generous garden to the rear, subject to planning permission. What’s your verdict? Diamond in the rough or more than you can chew?